Is Your Store Credit Card Under Investigation? It’s been an exciting time here at ClassAction.org, and we’re thrilled to announce we’ve redesigned and relaunched our website! We hope the new design makes it easier for you to access the latest settlements, news and investigations. It’s all in an effort to help you, the consumer, understand your rights and take action when you need to. Have a look around and let us know what you think – all of our blog posts and investigation pages have a comments section underneath. You can also send us a tweet or a message on Facebook! There’s plenty of updates in this month’s newsletter, too – including a fresh call for anyone who had their clothes dryer catch fire and crucial information if you have Atlas shingles on your home. Read on to find out more. 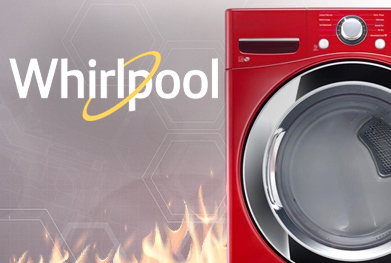 We’ve reported before on the unreasonable fire hazard some clothes dryers present – and now, action has been taken against Whirlpool over this very issue. Last month, a class action was filed alleging that the company’s Cabrio and Duet models contain a dangerous design defect that allows lint to build up in parts of the machine that are positioned closely to the machine’s heating element – and that are inaccessible to the user. This means that there’s a greater chance the lint can go undiscovered and catch fire, causing property damage and obvious concern for consumers, the suit claims. The plaintiffs say that they discovered blackened and smoking lint in their Cabrio gas dryer after only five years of use – and that their machine caught fire on two separate occasions. According to the suit, the couple found “wet lint packed in the metal corrugated funnel and burnt lint in the dryer cabinet.” Does this sound familiar to you? If so, you might be able to take part in the litigation to seek compensation from the manufacturer. Learn more today. If you’ve had problems with Atlas’s Chalet shingles, you may remember that the manufacturer was hit with multiple class action lawsuits alleging that the roofing product is defective. Namely, the suits claimed that the shingles were poorly designed and often cracked, blistered, and failed, allowing moisture to get in and damage the home. Last month, a judge denied class certification for the cases – meaning that any efforts to resolve the matter as a class action are more or less kaput. This doesn’t mean the litigation is over, though. The shingles were sold to approximately 125,000 people, and attorneys working on the case still believe they have enough evidence to file individual lawsuits for each affected consumer. Even if you have already been in touch with us – or anyone else – about the Atlas class action lawsuit, you will need to act now if you want to protect your rights. Contact us via our online form and one of the attorneys working with ClassAction.org may reach out to you to explain more about how you may be able to collect money from Atlas. Certain store credit cards serviced by TD Bank may be illegally overcharging consumers by applying interest to the full transaction amount even when some of the balance has already been paid off. This is because the cards, which offer a deferred, interest-free period, may apply interest on the initial amount once the introductory period has ended, even if only $1 is left unpaid. Attorneys working with ClassAction.org believe this breaks federal and state laws, and want to hear from anyone who has a store card from retailers such as Raymour & Flanigan, Samsung, Forest River, Club Cadet, Fred Mayer Jewelers, and more. The full list is on our dedicated page, where you can also get in touch with us if you believe you’ve paid more interest than you should have. Attorneys are currently looking into whether a class action lawsuit can be filed to fight these interest charges and any information you can provide may be useful to their investigation. Read on to find out more. Airlines operating in California may have been acting illegally by failing to pay overtime wages when employees traded shifts with other workers. Although the airlines claim that the workers organized the changes themselves, and are therefore ineligible for overtime pay for their extra hours, attorneys working with ClassAction.org disagree, and would like to hear from anyone with first-hand experience of this. This includes gate agents, baggage handlers, ticket agents, certified station trainers and a number of other workers, all of whom may be owed unpaid overtime wages. California law specifically addresses this issue, and attorneys believe the airlines are incorrectly interpreting the law. Read more. Tristar has reportedly settled a class action lawsuit alleging that its power pressure cookers suffer a dangerous design defect that can cause serious personal injury. But attorneys suspect Cuisinart and Maxi-Matic pressure cookers may suffer the same problem. Namely, it's believed the pressure release valve on the cookers is faulty and can falsely indicate that the pressure has escaped, leading consumers to remove the lid before they should. The result? Food explodes out of the cooker, causing not only a mess, but serious burns and scarring. If you had problems with a Maxi-Matic or Cuisinart pressure cooker, we want to hear your story. During the sixth trial over Johnson & Johnson’s talcum powder, an expert testified that talc is toxic and can cause cancer by changing how human cells “express their genes.” Specifically, she said that “the effects of these genes no longer control the cell growth properly, or it grows too much, that’s that cancer response.” The toxicology expert reportedly explained in detail how exactly the talcum powder molecules can enter the human body and cause long-term inflammation – and potentially, cancer. Learn more. All dogs are good dogs – but you can’t say the same for all pet food. Two different companies are facing accusations that their food contained harmful or poisonous ingredients that led to the sickness and even death of the animals who ate it. Three different Blue Buffalo dog food products are mentioned in a recently filed California lawsuit alleging that the company knowingly advertised and sold the food despite the fact that it contained dangerous levels of lead. (The plaintiff’s four-year-old cocker spaniel allegedly suffered kidney failure as a result of eating Blue Buffalo dog food.) A second proposed class action lawsuit in Washington, meanwhile, claims that Evanger’s Dog and Cat Food Co. Inc. and Nutripack, LLC’s premium pet food contains dangerous levels of pentobarbital – a chemical normally associated with euthanizing animals and the executions of humans. According to the complaint, FDA testing confirmed the drug’s presence. This worrying development led to further investigation, several recalls, and the discovery that products sold as using “human grade, USDA inspected” meat were actually using meat marked as unfit for human consumption that had never been approved by the USDA. The use of certain labels – organic, natural, vegan, etc. – needs to be protected so that consumers know they can trust the food they buy. The rise of natural foods, as consumers become more health conscious and interested in where their food is coming from, came hand-in-hand with a rise in lawsuits trying to hold companies accountable when they misused the phrase. Recently, though, lawsuits have been far less successful when accusing companies of mislabeling “natural” products. Has something changed – and if so, what and why? ClassAction.org decided to get to the bottom of this unnatural phenomenon. What a Mistake to Make: What’s in Dunkin’s Angus Steak Sandwiches? A New York consumer has filed a 40-page lawsuit alleging that Dunkin’ Donuts’ “Angus Steak” sandwiches are being falsely advertised because they don’t actually contain any angus steak. The issue is with the word “steak,” and what a reasonable consumer thinks of when they hear that word. The USDA certainly has a definition, and whether Dunkin’s beef patty passes muster forms the heart of the lawsuit. Dunkin’s sandwiches allegedly contain binders, seasoning, and added water – all things the USDA considers un-steak-like. Along with a subclass of New Yorkers, the suit aims to cover all consumers who paid a premium for the angus steak products during a specified time period. Read more.